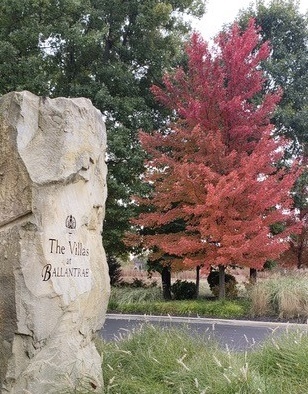 The Villas at Ballantrae is a friendly, managed community of distinctive and unique Irish Manor style patio homes with individual lawns and landscaping. It is situated within the City of Dublin’s Ballantrae neighborhood, a 640 acre community with a mix of retirees, families and young professionals. The Villas’ patio homes lie between the Sixth and the Seventh Fairways of the 18-hole links style Golf Club of Dublin and are surrounded by numerous ponds that attract swans, mallards and other avian life, as well as bucolic scenes such as flowers and foliage, hand-stacked stone walls and tall grasses. Beautifully landscaped entrances to the Villas are located on Woerner-Temple Road and Eiterman Road. Refuse and recycling collection takes place on Wednesdays. Items should be placed at the curb by 7 a.m. for collection between 7 a.m. and 7 p.m. The refuse and recycling schedule may change during a holiday week. Rumpke observes six major holidays during the year – Memorial Day, Fourth of July, Labor Day, Thanksgiving, Christmas and New Year’s Day. Should one of these holidays fall on a Monday, Tuesday or Wednesday your collection will take place on Thursday. The changes will only be effective during the week of the holiday. The week after the holiday collection will resume on its normal scheduled day for all three services. This information is subject to change annually.